Small hostas have become very popular in recent years (Please see our new book The Book of Little Hostas) and we have created a garden especially for these little hostas. 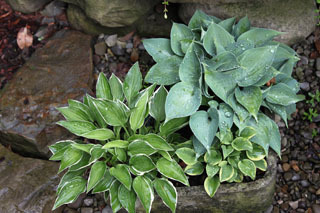 We have chosen hostas that do not normally grow to more than 12 inches high or 24 inches across. 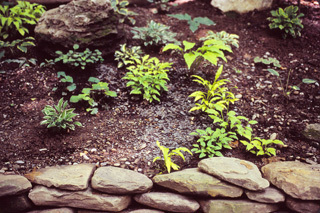 Some are very much smaller and we have planted them in a variety of situations. There are two large raised beds. 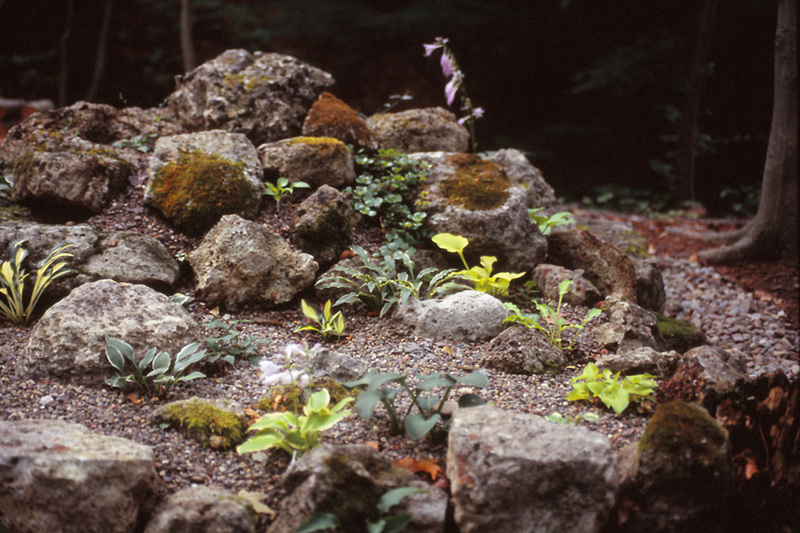 One is built into a slope with a retaining wall of natural stone slabs. The second is on flatter ground surrounded by low stonewalls. 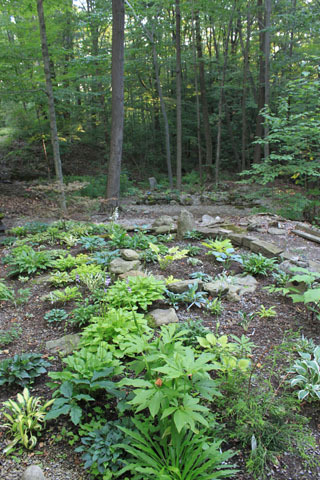 To create both these beds, the thin topsoil was dug out and retained. The clay shale underneath was then removed to a depth of about six inches. Some tree roots we cut away and others simply exposed. 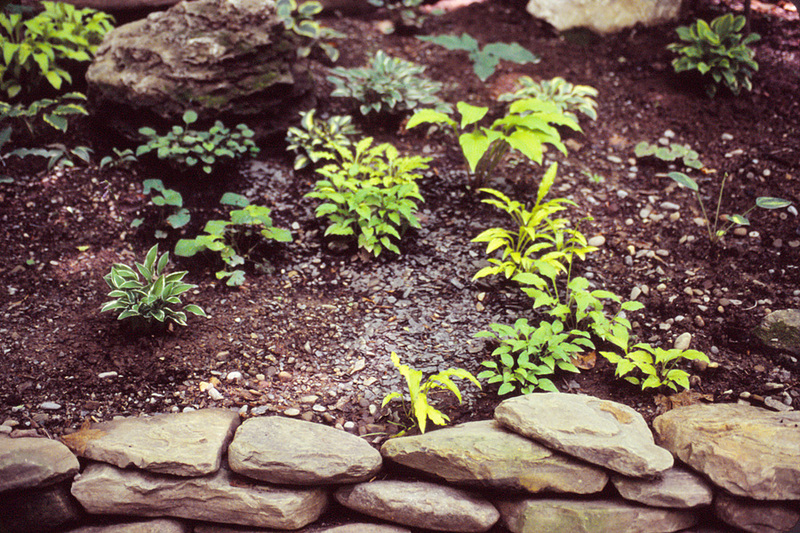 A two-inch layer of gravel covered by a weed deterring fabric was laid and then the whole area behind the walls was back filled with a topsoil and compost mix to a depth between six and fifteen inches. 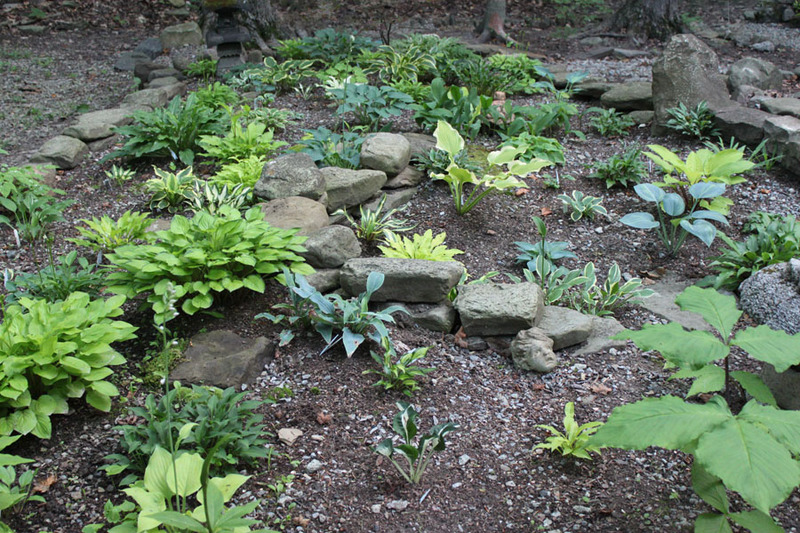 Additionally we have made a rock garden in the shade so that we can grow these small hostas as alpine plants. A friend said it looked like a coral reef so it instantly became "The Octopus's Garden in the Shade." During 2011 we intend to enlarge the rockery, add a small raised bed and create a small scree garden. The paths through the Small Hosta Garden are a little difficult to negotiate but it is the situation here that makes this garden unique.